It is a rum business, getting old. I cannot for the life of me remember whether I took my pills this morning, yet I can still vividly recall the interview that clinched me a place at my first school. It was with Jack Russell Perry, the former naval person who had become proprietor and headmaster of Akhurst Boys’ Preparatory School in Jesmond Cottage: a substantial Victorian pile that thoroughly skewed my perception of what constituted a cottage for many years. 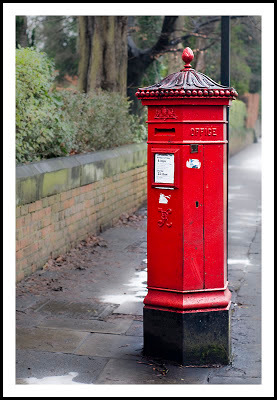 He gently asked me why pillar boxes were red. I gave the wrong answer (“to match the mail vans”) but he generously let me in anyway, perhaps because my parents could just about afford his fees (though my father, were he still alive, might wish to take issue with that). There might have been an element of familial keeping up in the decision to grant me a private education, given that I had two older cousins who had already been sent to Akhurst. Though my mother always swore that the clincher was that I was a June baby and the local state school at Benton would not accept me for another year, when I would have been five and a quarter, and she simply could not endure the pleasure of my company that long. 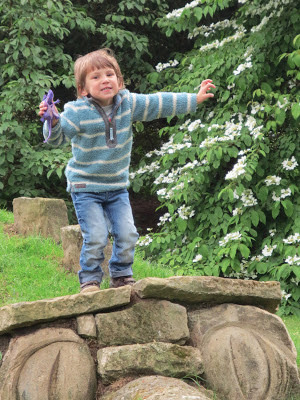 Luckily there are no such issues with my own June-born son, who celebrates his fourth birthday today with his first “settling in session” at the local authority primary school where he will begin in earnest in September. I have already been to two parents’ evenings at the place, which is two more than my parents ever spent at Akhurst. The regime seems markedly gentler than it did in my day, with more of an emphasis on learning through play and less on sitting in straight lines staring at a blackboard. There is no stuffed lion’s head in the stairwell to frighten the infants, and no map of the British Empire on the walls. 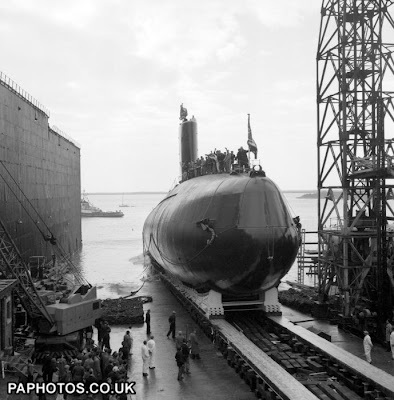 I also very much doubt that the children will be invited into the headmaster’s sitting room to watch the launch of our latest mighty warship, as I did when the pioneering nuclear submarine HMS Dreadnought came down the slipway in 1960. On the plus side, they do still expect their male pupils to wear ties, which was naturally a key factor in making the place my first choice in the great primary school lottery. I took him to Hampton Court, Buckingham Palace, the Natural History Museum and the kitchen garden at Meldon Park last week, and he was adamant that he knew more than me about the Tudors, horses, carriages, soldiers, gun salutes, the monarchy, dinosaurs and horticulture. Though I did gain a small tactical advantage when I briefly managed to convince him that the dragon in Meldon Park’s woods was a real one that chiefly ate small boys. I have advised him that the right answer to the pillar box question, if it ever comes his way, is that red makes them stand out so the public can spot them. I was all poised to say that some years later when I was interviewed for a place by the senior tutor of a Cambridge college, but he sneakily changed the question to what was unusual about the then newish 50p piece. I replied that it had seven sides, which is true, but this was not the answer he was looking for: it is an equilaterally curved heptagon. Mind you, he also let me in despite my ignorance so clearly a consistent failure to shine in interviews is no bar to educational advancement. Wishing Charlie a very HAPPY BIRTHDAY!! but Charlie's Dad might be another....funny story.